The Pro First 220 is a mailbox that combines with the Swiss Postal Stand. It's body is made from galvanized sheet steel and offers a small and a larger compartment with enough space for your daily mail. This model can be mounted both on the wall and free-standing. The matching material can be found in your delivery. 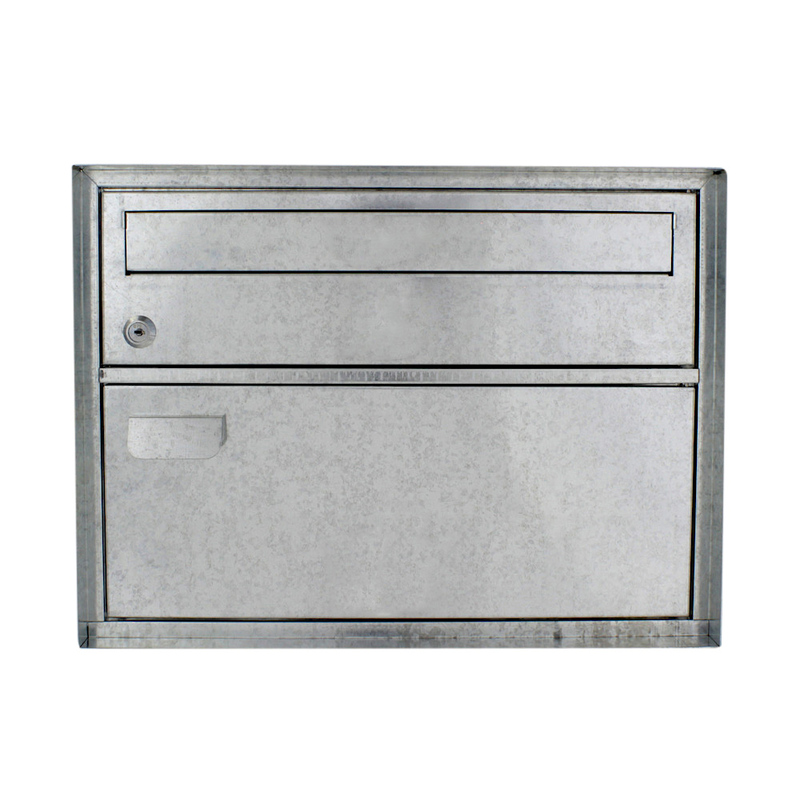 The Pro First 220 mailbox is made from galvanized sheet steel. With its additional storage compartment, you can also buy a Swiss Postal Stand to go with this Swiss Mailbox.